The Trident Hex Rim Plastic 8" Aluminum Tank Boot with Drainage Features offers an easy way to protect your air cylinders and valves by always standing tanks upright. Constructed of sturdy, impact resistant plastic, this hex rim boot offers drainage channels and holes that allow water to escape quickly. 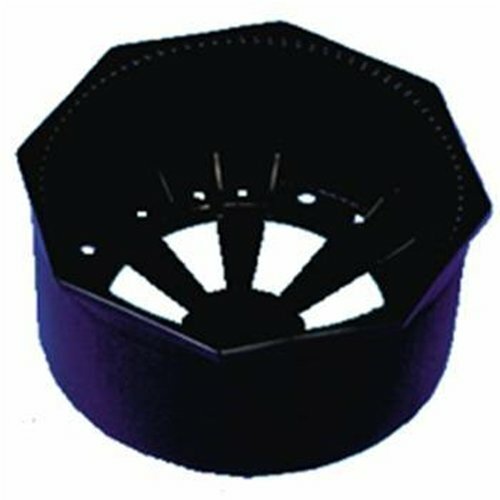 Flat bottom with support struts is specially designed to support round bottom steel tanks. Sized to fit any standard, 8 inch diameter, round bottom, steel air cylinder.